Russians can't afford to holiday abroad because of the economic plunge. It seems that a lot of Russians can no longer afford to fly -- not even on budget flights. Easyjet said it's canceling its flights between Moscow and London, because of "significant and sustained reduction in demand for travel in recent months." The decline has been driven by a number of factors, including the "macro-political environment, the weakness of the Russian economy together with the tightening of the visa approval process," the budget European airline said in a statement. EasyJet has already cut the number of flights to Russia by half this summer. The Russian economy has been hit hard by tumbling oil prices and sanctions, imposed on Moscow by Western countries over its involvement in the crisis in Ukraine. Real wages have plummeted and inflation has soared. Official statistics show that around one in seven Russians is now living below the poverty line. The ruble has slumped 44% against the dollar in the last 12 months, making foreign travel more expensive for Russians. The European Travel Commission said the number of Russians traveling to Europe plunged by as much as a third in the first quarter of the year. "Foreign travel has become costly for Russian tourists with traditional hotspot destinations being the most affected," the commission said in a report. EasyJet is not the only airline struggling in Russia. Delta, the only U.S. carrier offering a direct flight between Russia and the U.S., is scrapping its flights to Moscow. The Hong Kong-based Cathay Pacific has stopped flying to Russia in June. 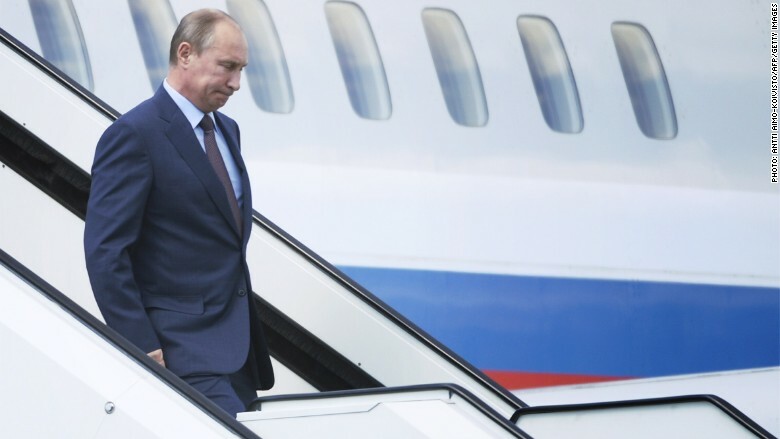 Lufthansa, Air France, Qatar Airways and Etihad have all cut down on passenger capacity on flights to Russia.